As the dust settles on Black Friday, it is time yet again for massive sales thanks to Cyber Monday. This year, we’ve decided to go all out and are offering one of our best discount offers yet. 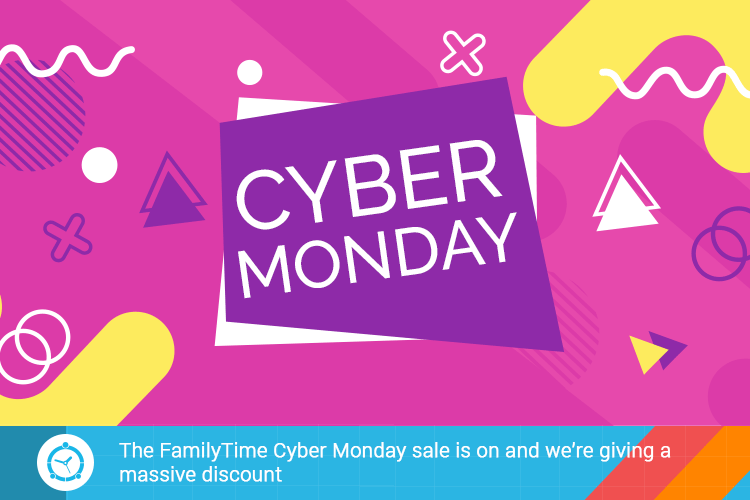 This is the best time to become a part of the FamilyTime family so make sure you can get this offer while it still lasts. We are delivering on our ideals by providing the most comprehensive parental control features already and we’ve decided to honor this day by making it easier than ever to access the power of FamilyTime premium features. We’re giving a massive 25% off on all orders. Now you can use all our features including the newly added SafeSearch and Internet Filtering on all iOS and Android devices at a heavily discounted price. As unbelievable as the discount it, we can’t keep offering it for too long. That’s why this is a very limited time offer that you can get right now or miss out on. You can always get the premium FamilyTime features at full price later but if you want them at this massive discount, get it before it runs out. The FamilyTime Black Friday sale is on right now! HOW TO MANAGE CHILDREN’S SCREEN TIME? PARENTAL CONTROL APP IS THE ANSWER!